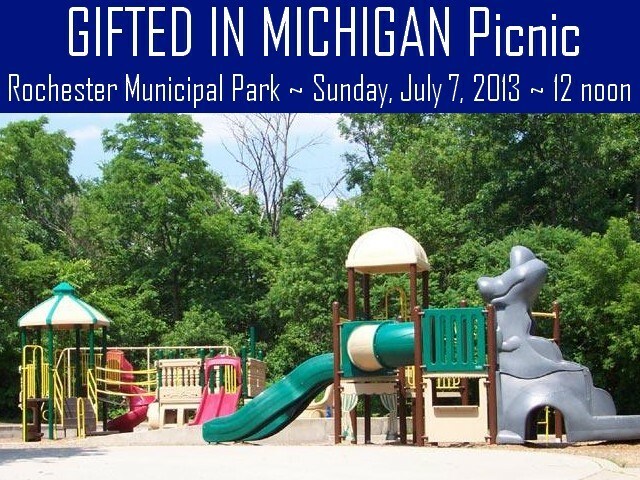 Please bring a picnic lunch and come to socialize with other Gifted In Michigan members while your kids play! We will be meeting at the play structure just across the creek. You can see the bridge from the parking lot. Gifted in Michigan is a partner organization of Rochester SAGE and provides many social activities for gifted learners. Come meet other local gifted families in the Rochester area! If you reply and RSVP, I will pass it on to Melissa Jenkins, Gifted in Michigan leader.